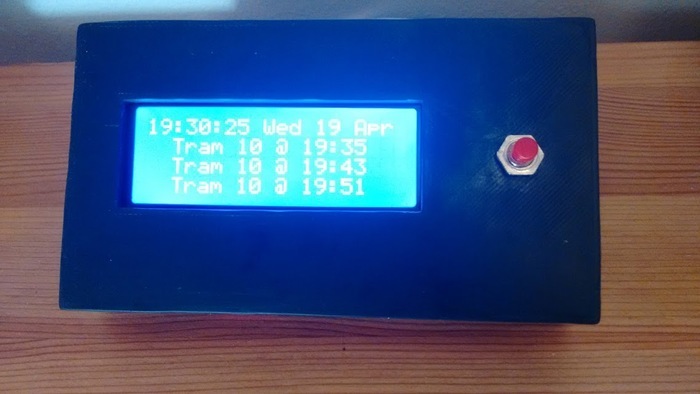 The goal of this project was to avoid waiting at the tram-stop in sub-zero temperatures, which would be achieved by having a constantly-updating display showing the next departure time from our local tram-stop. If there is a tram due in a couple of minutes we could leave the house in safety, if there was a wait of 10+ minutes we'd stay indoors. 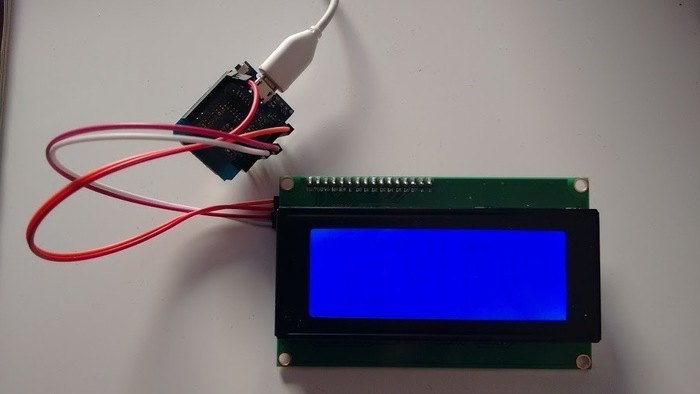 We've previously documented using an I2C LCD with an Arduino. In my project the display was initially 2x16, but the code allows for different dimensions. I soon upgraded it to a 4x20 display instead, as pictured below. Updating the display once a second. Resyncing the time, via NTP, every five minutes to avoid drift. Changing the tram-stop being monitored. Toggles the state of the backlight. Triggers an immediate resync of the date & time, as well as the tram-data. 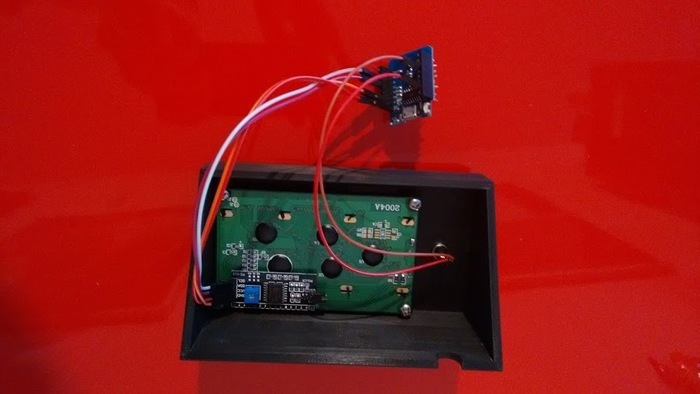 If you've never configured the device before it will begin to operate as a WiFi access-point - you can use your mobile phone, or other WiFi-connected device, to connect to this access-point and setup the local WiFi network it should join. Thanks to the web-based GUI the project does not need to be recompiled to change the networking details, or any of the other configuration settings! You need an IP so you can connect to the internet to fetch the timing details. Drawing that date & time. Fetching the tram-time for the local tram-stop. Allowing over the air updates, directly from the arduino IDE. Handling input from the optional button. For dealing with the date & time, including retrieving the current time via NTP, I used the standard time library, which has excellent support for such things. The web GUI allows changing the time-zone, which is necessary if you're outside GMT. Show the time and date. Show the time and current temperature. Unfortunately this is hardcoded for Helsinki at the moment. Perhaps forgiveable given the nature of the project. Show the time, and alternate between date/temperature display every 10 seconds. The code has become a little more complex over time, especially since the addition of the web-based user-interface, but if you have any questions feel free to ask away.